The big bamboo is a potent shot that uses the two strong and full-flavored rums. To help it go down a little easier and tame all the rum, there's a good dose of orange and pineapple juices. It's rather tasty and definitely an interesting shot! Unlike many mixed drinks, the big bamboo uses a full 2-ounce pour of high-proof rum. It's a rum that's typically reserved for floating on top of drinks that you want to light on fire. That is then backed up by a dark rum before the sweet and tart fruit flavors come in to combat the harsh burn the duo creates. The good news is that you don't have to—and really shouldn't—go it alone! The recipe makes four 2-ounce shots, so it’s perfect for sharing with friends. In a cocktail shaker with filled ice, combine all of the ingredients. Strain into four shot glasses. For years, the big bamboo was made with Bacardi 151. It was the best-known high-proof rum and used for all sorts of flaming tricks that sometimes got dangerous. In 2016, the rum was discontinued. As an alternative, Cruzan, Don Q, and Gosling's all make rums bottled at 151 proof. They're arguably more enjoyable than Bacardi's offering, though none of them should be drunk straight because they're simply too strong in both alcohol and the burn. For the dark rum, you'll find plenty of options at the liquor store. You can spend as little or as much as you like on a bottle, though the higher-end options will be more versatile and can be used to make some really nice mixed drinks. 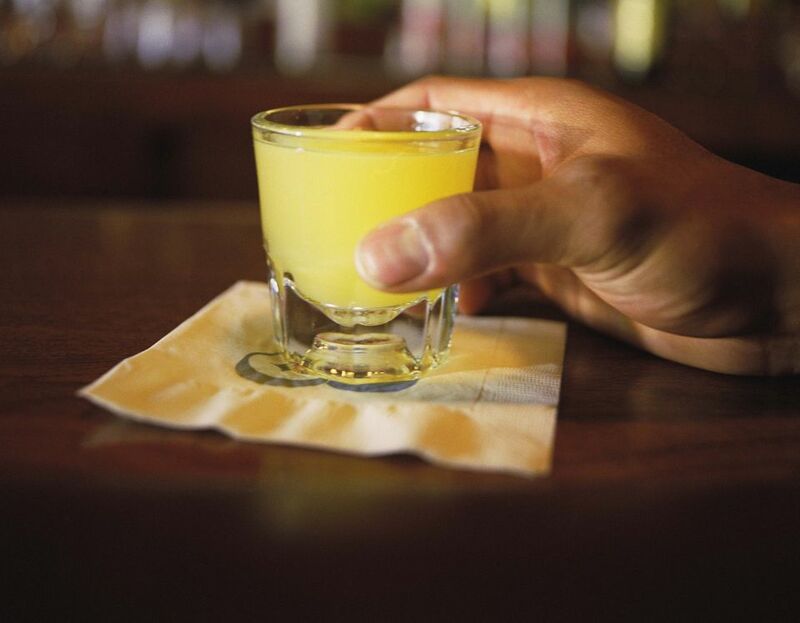 Chill your glasses before pouring the shot to make it go down a little smoother. The triple sec doesn't make a big impact in this shot, so if you're out, just skip it. Alternatively, any other orange liqueur will work. If you run out of either of the juices, just pour 4 ounces of the other. You can also use any tropical fruit juice blend that has a focus on orange, pineapple, or both. Aged rums are a good alternative to dark rum, though they don't have quite the same flavor profile. Dark rums tend to have more of molasses taste where aged rums are oakier. How Strong Is a Big Bamboo? Surprisingly, with all that rum, the big bamboo is not the strongest shot you can mix up. On average the drink has an alcohol content of 24 percent ABV (48 proof). That's almost half of what you'd get from a straight shot of tequila or whiskey.